You can't honestly be surprised to find another purple on my favorites list. I love me some purple. 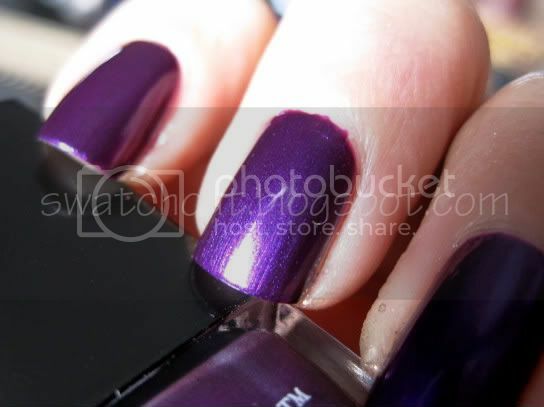 HRH is a vibrant, glowy red-based violet with multicolor shimmer. It is very nearly a metallic, but not quite there. This reminds me a bit of Chanel's Vendetta? Can you comment on it? 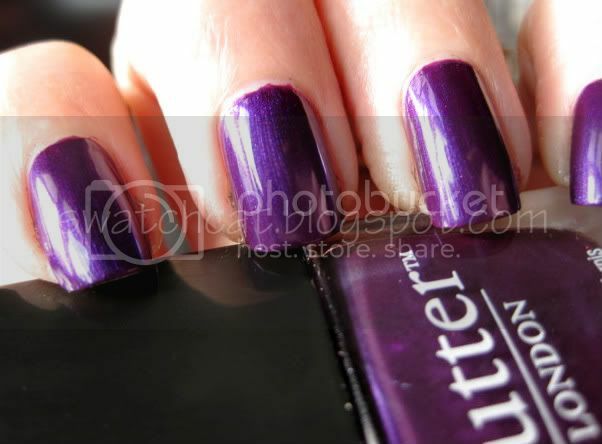 Or is the butter london one more vibrant?